Ok we have a problem. I’m eating sour gummies – or rather gummies with a sour filling – and I can’t taste the sour. I guess it’s entirely possible that I’ve eaten so much sour gummy in my life that I’ve lost what sour is to the lay person. 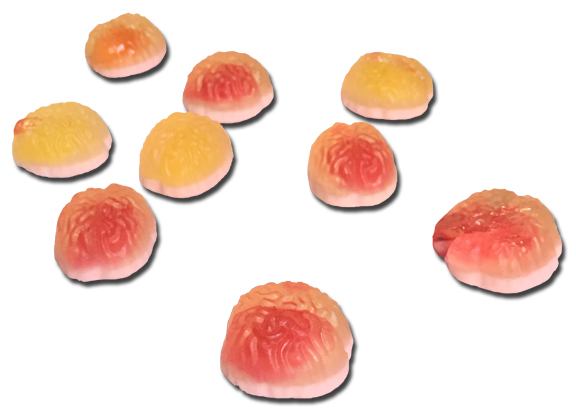 Perhaps my mother for example would find these semi-opaque brain-looking gummies mouth-puckering. They sure look good; a decent-sized lightly liquid-filled brain where the center is a two-tone horror color. Good enough to eat. But the problem is that these aren’t sour. They’re a little tangy, sure, but then call it that on the package. I have no idea what the flavors are either. Gonna guess orange, lemon and cherry based on the cartoony characters on the front. One thing I liked about these is that it’s not a lot of liquid in the center – it’s just enough to feel and taste it without feeling like a full beverage of gummy juice. 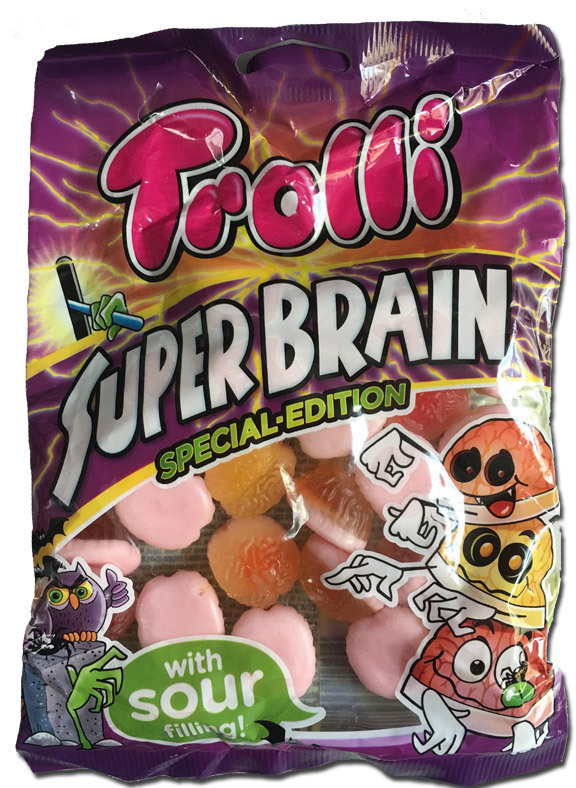 At the end of the day, this reviewer wouldn’t go out of his way for these sour gummies. I’d pull down the Sour Patch Kids and move on.